Can you believe I had never seen Wicked!? It is one of the most beloved Broadway shows...ever, and I had never seen it. I don't think I ever made it a grade A priority because I was never fully sold on the Wizard of Oz. Dorthy annoyed me and the premise was not in my wheel house of 'things that entertain me'. So Wicked was out of the question. But if people you know rave enough about something you are bound to give in at some point. So I did...I went and saw Wicked. And ummm...WHY didn't anyone tell me it was amazing?! SO RUDE. I mean, I know people did, however, they should know by now that you can't just say "It was great" and move on. You need to really sell it to me. You need to make me believe that my life would not end well if it ended before I saw this production. You need to make me feel like it was the biggest mistake of my life to miss it. I wouldn't believe any of this, but I would at least be interested enough to attend the show. Wicked is the story of the two witches in the Wizard of Oz. Glinda, the Good Witch and Elphaba (Elphie), the Wicked Witch of the West. The show follows them from childhood, through college and right through to the time of Dorthy coming to Oz and stealing Elphie's sisters shoes of her dead body (see, I told you I hated Dorthy). I won't tell you what happens, because I am sure there are other insane people out there like me who have not seen it, but I will tell you this - it is more a story of an unlikely pair of best friends than of some green girl who casts spells. Laurel Harris (Elphaba) has one of the most powerful voices I have ever heard on stage and Kara Lindsay (Glinda) was Elle Woods meets anything Kristin Chenoweth has ever done - but possibly even better. Popular was one of my favorite songs of the night...behind Defying Gravity, of course. I have nothing else to add really...the thousands of other reviews out there have already said it all. And they all end with the same thing: Wicked! Go. 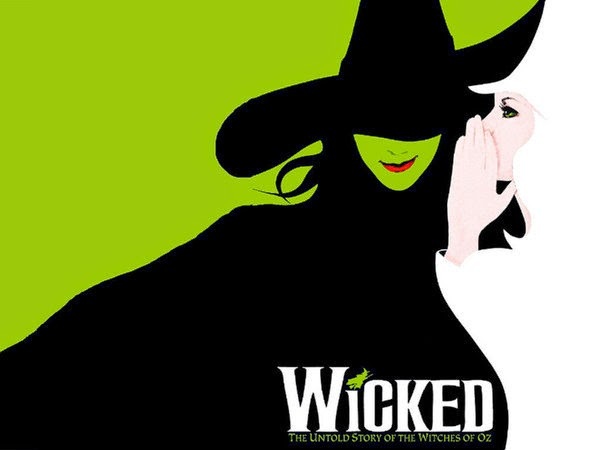 Wicked is playing at the Southern Alberta Jubilee Auditorium until August 17, 2014. Click here to purchase tickets.